I have a 4-year old Thoroughbred gelding. I have had him for a year. When he first came, he was very skinny so I treated him for ulcers and let him be a pasture ornament while working on ground manners for about a month. We have had setbacks all year long. I had to pull his shoes and then we had saddle fit problems. His feet are doing great and I have been saddle shopping for about 4-months now with very little luck. When we go to canter, most times he will throw his head, lunge into the canter and when we are coming to a corner he grabs the bit and motorcycles through the turn. I have tried multiple different bits on him. 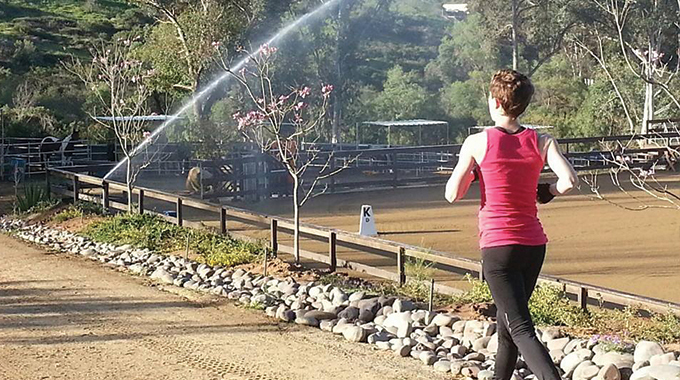 He listens well to contact and the bit at the walk and trot. Backs up with the slightest bit of pressure without his head straight up in the air. I have tried bringing him back to a trot and doing circles in every corner but our ring is relatively small, so by the time we get the canter again it’s only for a few strides. I do trail rides up and down hills with him and keep him ridden 3-5 times a week so I don’t think it’s a fitness issue. Is this just something we have to work through or what are some things we can do to fix this? Some days it feels like we will never get anywhere and it’s very frustrating seeing how much I spent on him and his potential. Thank you!! As you know, I’ve had a lot of Thoroughbreds and some of them take a very long time to train and others train up in a short time. Some of my best ones took a long time and I, like you, got frustrated at times. In the end, it was worth the time! The good news is that your horse seems to have a nice mouth and accepts contact as you described. The issue seems to be mental to me. First make absolutely sure the saddle is not causing him discomfort. You seem to indicate you have been saddle shopping for a while now without results. At the very least there are pads available to use under the saddle as well as pommel pads that can help until you find the right saddle. 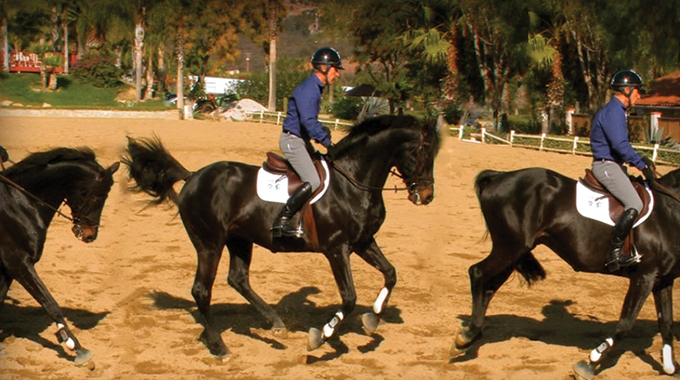 Next, every time you ride him practice dozens of trot-canter and canter-trot transitions as a priority. Don’t ask for the canter from the walk at this time. Just use one simple leg aid, your outside leg back 2-3 inches, very soft, with no spur. No other aids. If he bolts into the canter immediately go back to the trot. Settle him down and repeat. This may take you several weeks. 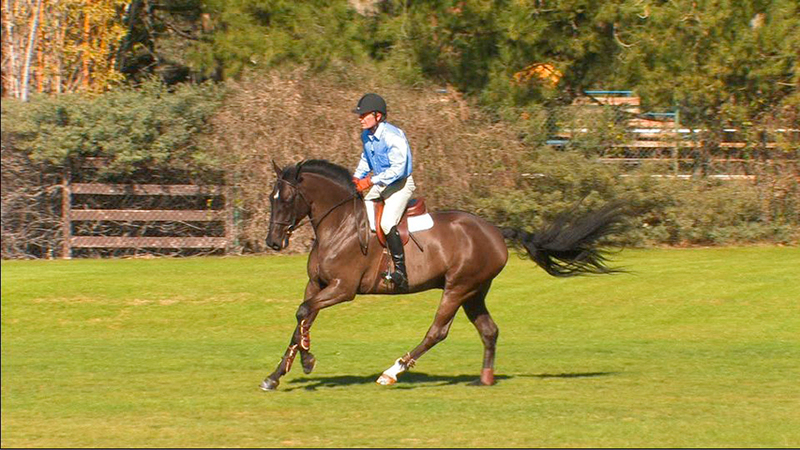 Don’t ask for the canter approaching the end wall or turn but rather out of the opposite end. If he does not accelerate after picking up the lead, hold it until you get close to the corner he rushes through and go back to the trot or walk before he takes off. Don’t forget to pat him when he does it right. 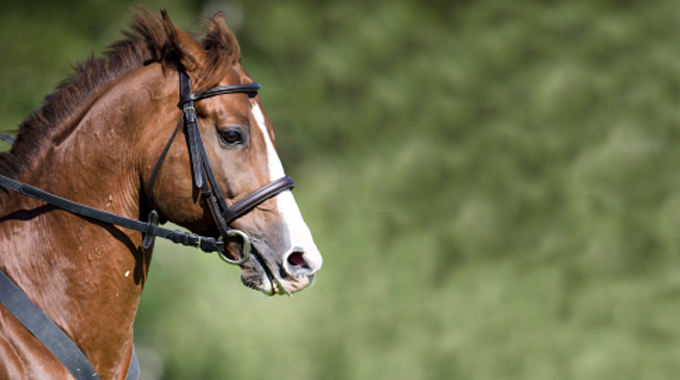 Your horse anticipates the corner with anxiety. You need to defuse his anxiety with these downward transitions. 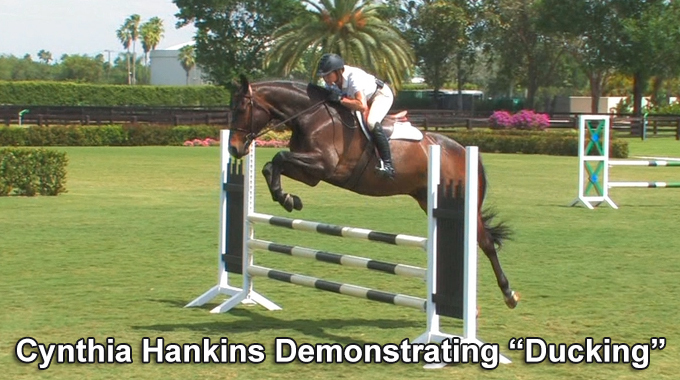 Part of my training philosophy is to do the opposite of what the horse is doing. In other words if he gets strong, anywhere, I do a downward transition. If he gets dull or non reactive to my leg I do a forward transition. My reaction with my aids or the pressure of my aids, will be in exact proportion to his resistance. If he gets dull, I go forward. If he accelerates on his own, I slow down, stop, back, something downward. If he goes left I turn right and so on. 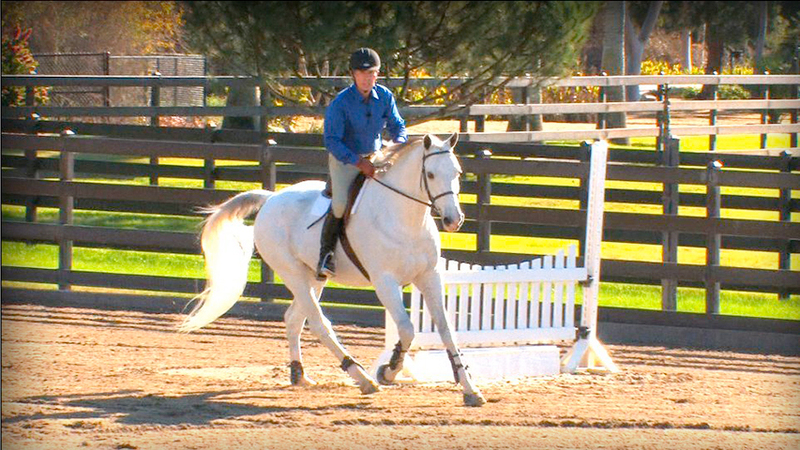 I had a 4-year old mare named Odessa Contessa, and she was the same way about the canter, especially in a narrow arena. Our indoor was 60 feet wide, and she just couldn’t carry herself around those turns. Later, when I got her outdoors, and she had more space to turn, she started to feel more confident. Eventually her resistance went away, and she learned how to canter even ten meter circles, but it took time. I’d probably not worry too much about cantering until you have access to a wider turning radius. I bet the problem will go away as he gets stronger. The trotting will be enough, I’d think, at this point. Good luck! 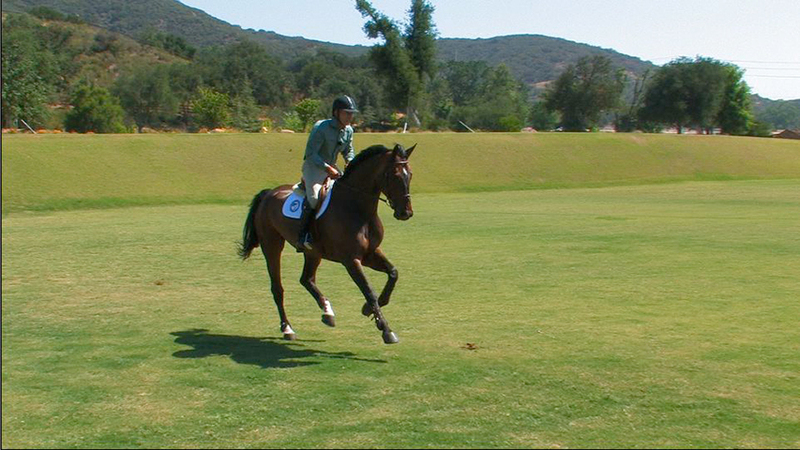 Bernie lends his advice on how to help member Bonnie who has a OTTB that gets very nervous about flying changes. Member Tracey wonders why she see's so many photos of top hunter rider's looking at the ground over a jump.